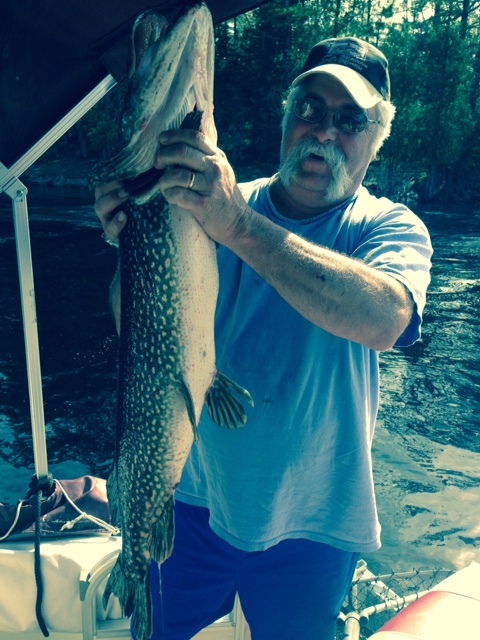 Nancy L. caught and released this awesome Northern, 45 inches long. 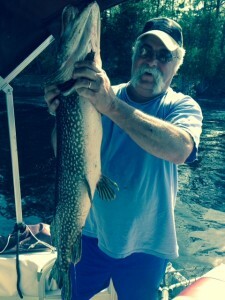 It was too big for her to lift so her husband Mike had to hold it while she took the picture. Great job.